[Hollywood On The Potomac] A new kind of dining has come to Washington, DC in which each meal is spiced lightly with some history and culture. This blending of history and culture to highlight a memorable meal is the brainchild of Dr. Zoe Kosmidou. For some, Zoe is a new face in the city – the recent founder and president of Ancient Dinners; for others, she is a world-traveler who has for many years represented Greece at its embassy in Washington. Ancient Dinners is for Zoe a blending of two loves – travel and food – and each Ancient Dinner highlights a different country around the world gastronomically with family-style food, based on ancient recipes and created with original ingredients that are indigenous to the country. The December dinner was the third Ancient Dinner in a series that will continue next year. It was held at Aperto Restaurant in Washington, DC, and it was billed as a Roman Cena. 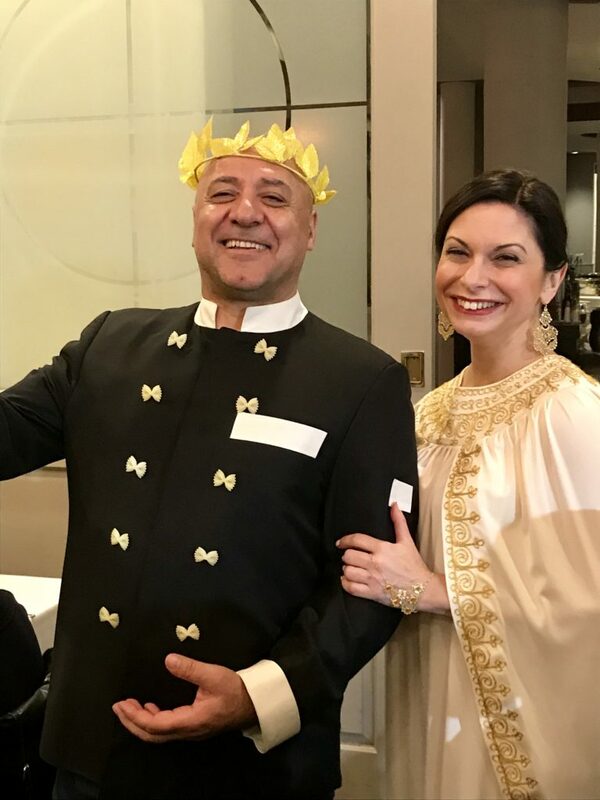 For the select diners, it was an educationally enriching experience, in which the ancient foods of Rome were introduced by two engaging personalities, Chefs Amy Riolo, author and television personality, and Luigi Diotaiuti, proprietor of Aperto and Al Tiramisu.